Program: Mel Ikeda On: …..well, you’ll just have to come and find out. 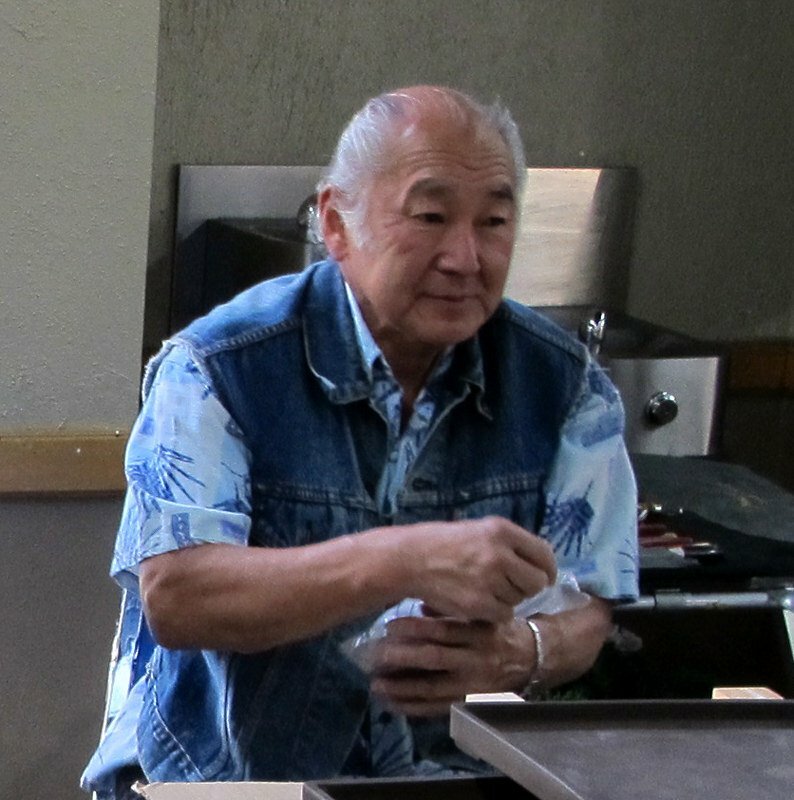 Once again, Mel Ikeda’s happy, smiling face will travel from Costa Mesa to Santa Barbara to grace our club with one of his always interesting and usually unusual presentations. The exact content of his program isn’t quite final as of the writing of this newsletter, but rest assured that you won’t regret having attended. Hopefully you have narrowed your possible show trees for our annual show in May to a small number by now. In our Tuesday, May meeting, Ann Erb will be presenting detailed items to be aware of for trees that are to be shown. It is a meeting not to be missed. Please start setting aside material for our silent auction and our sales areas. We have a demonstration and a silent auction each day and we will need material for each day. We do have openings in each of our workshop days. These workshops are a great way to improve your trees. Do call Wally, 967-2565, if you are interested. 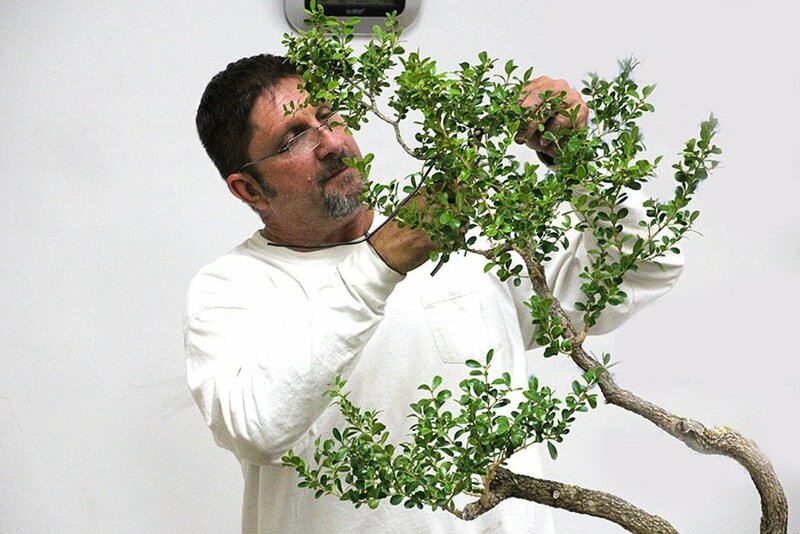 Colin attended both the 2015 Golden State Bonsai Federation Convention in Riverside and the 2016 Shohin Seminar in beautiful Santa Nella. While at the GSBF Convention, he volunteered to help set up the exhibit and was able to attend the critiques of the trees and hear the judges’ comments, a most interesting experience. Individual pictures of the trees at the exhibition may be found in the current Golden Statements, while above is a picture Colin took of the exhibit; below is a photo of the vendor area. At right is a picture of Colin with Bjorn Borholm, one of the headliners, and his demo tree. It’s obvious that we stay-at-homes missed a lot. 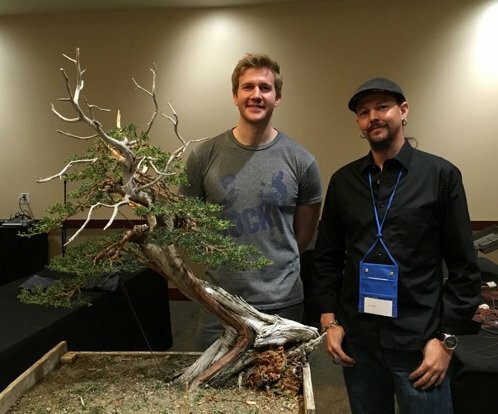 At the shohin seminar, Colin found time to help Travis Goldstein of California Bonsai Studio in his sales booth. At left is a picture of a wonderful shohin ficus. It’s either really small or someone has a really big hand. The convention took place over Halloween weekend, and Colin mentioned that Ann Erb came dressed as Albert Einstein. If you look on page 38 of the current Golden Statements, you’ll see a picture of someone you’ll swear is the real Einstein, but now you know we have a master of disguise in our club. As Tom pointed out in his President’s Message above, there is still room in both the 2nd Saturday and 3rd Saturday workshops. If you can’t attend a whole semester series, you can sign up for just the ones you can attend and pay only for those. The workshop instructors are the best you can find anywhere and are worth far more than we pay. Such a deal! For more information, contact Wally Kunimoto at 967-2565 or wykuni@cox.net, or Tom Post at 964-2717 or tompostart@yahoo.com. We don’t mean to nag, folks, and we won’t mention any names but you know who you are: An alarming number of you haven’t yet paid your 2016 dues! Please bring your dues to the meeting or mail them to the club’s PO Box. Dues: $30.00 for individuals, $45.00 for families. 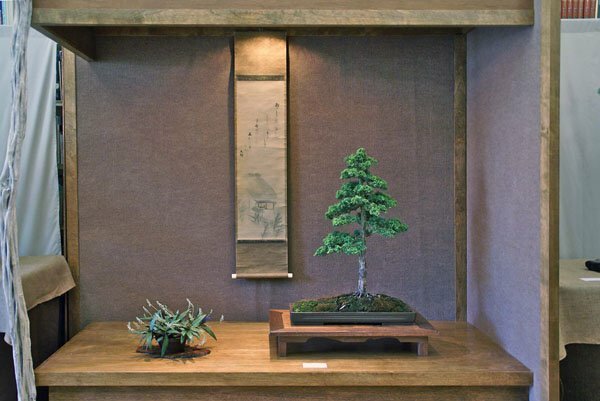 March 12: Bonsai Club Of Santa Barbara: 2nd Saturday Workshop With Ann Erb. 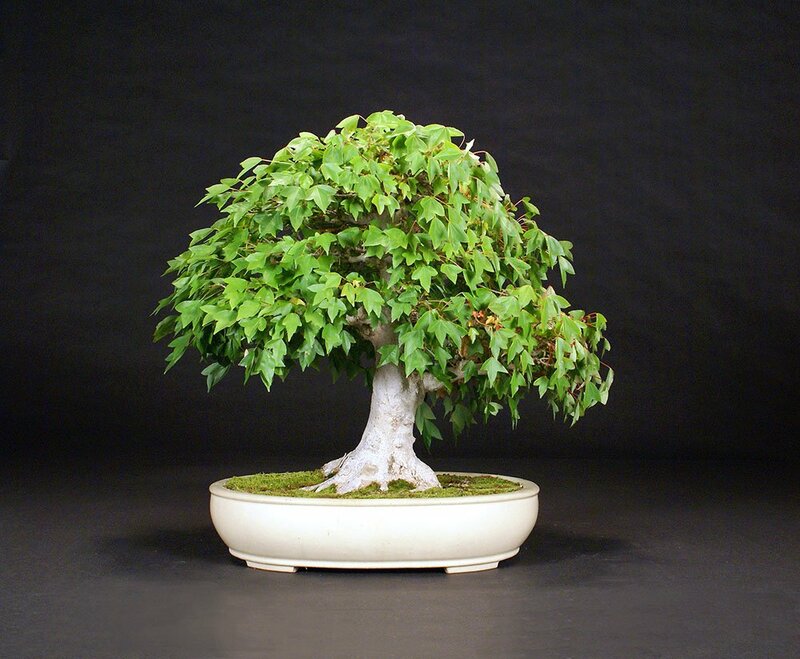 March 19: Bonsai Club Of Santa Barbara: 3rd Saturday Workshop With Guest Instructor. 9 AM until noon or 1 to 4 PM., Room 7, Goleta Valley Community Center. Kathy Benson, guest instructor. Huntington Library and Botanical Gardens, 1151 Oxford Road, San Marino. Saturday–Sunday, 10:30 a.m.–4:30 p.m. both days. 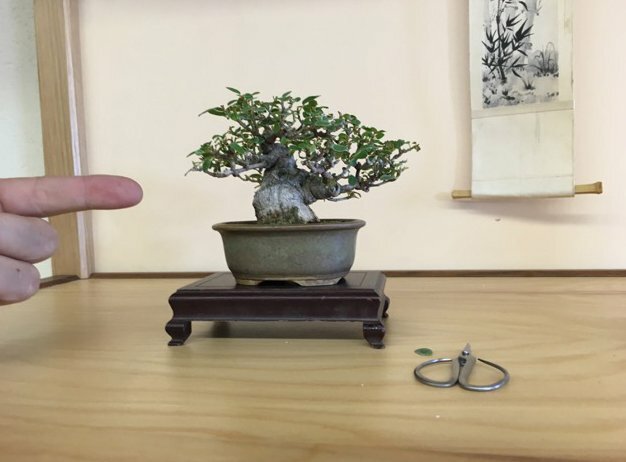 California Bonsai Society presents its 59th annual show, featuring more than 100 beautiful specimens created by bonsai masters. General admission. Brody Botanical Center. Program: Presentation by Ann Erb on “saba maki”, or so I’ve been told. A quick Google search tells me that saba maki is mackerel sushi, so something is definitely fishy. More news next month. 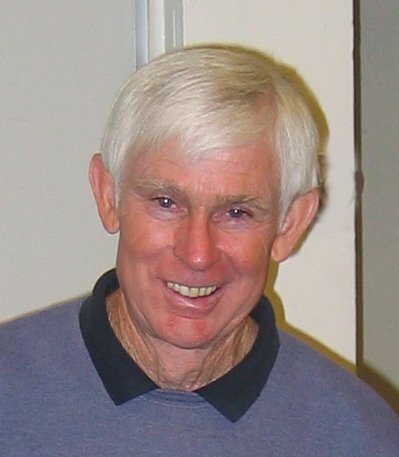 Leroy Kubel’s presentation of last year’s shows and events, previously scheduled, will be rescheduled at another time. 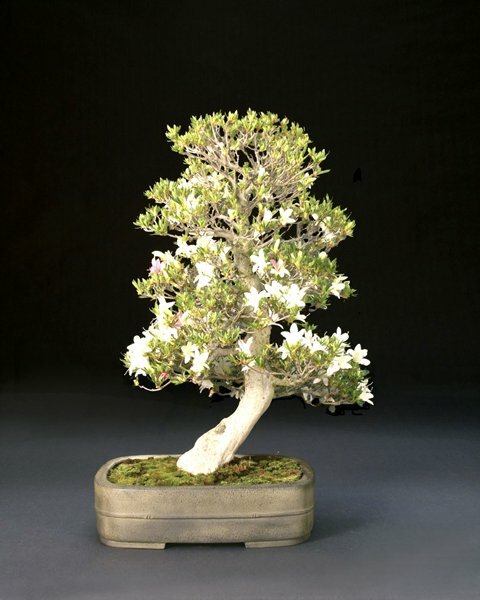 May 21-22: Bonsai Club Of Santa Barbara: Annual Show And Plant Sale at Santa Barbara Botanic Garden. 11:00 AM -4:00 PM on Saturday; 9:00 AM -4:00 PM on Sunday. Demos at 1:00 PM on both days. 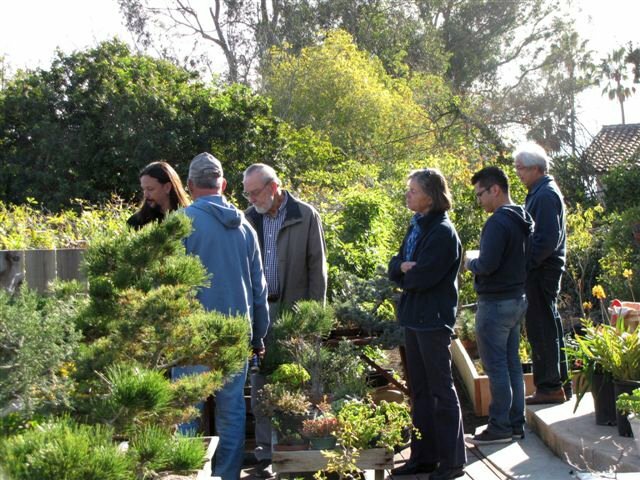 Plant sale, silent auction, and an informal exhibit of California natives as possible bonsai will be included. Please plan to show a tree, and, as usual, volunteers will be needed to help set up and tear down the show. Also, as Tom Post mentioned above, be thinking about possible donations for the silent auction and bonsai-related items for the plant sale.